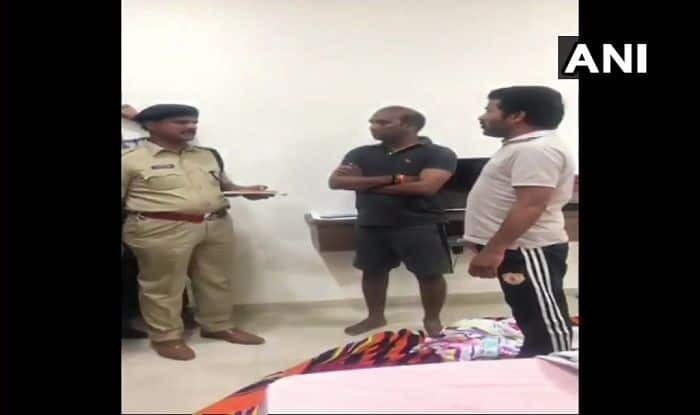 New Delhi: Congress Telangana Working President and Kodangal candidate Revanth Reddy on Tuesday was taken into preventive custody for allegedly threatening to disrupt Chief Minister K. Chandrashekhar Rao’s election rally. Police picked up from his residence earlier in the day to prevent any toward the incident. Chandrashekhar Rao will be addressing a rally in a rally in Kosgi, Kodangal. Reddy has been shifted to an undisclosed location. Reddy, who quit the Telugu Desam Party (TDP) to join the Congress earlier this year, represented Kodangal in the dissolved Assembly. His detention came in view of Reddy’s threat to disrupt the Telangana Rashtra Samithi (TRS) chief’s rally. He had called for a shutdown to protest it. The Election Commission had also issued a notice to Reddy for his threat. The police have booked two cases against the Congress leader. Tension prevailed in Kodangal following Reddy’s detention. The police have already imposed prohibitory orders in the town to prevent any untoward incident. It must be noted that the Telangana Assembly elections are scheduled to be held on December 7 to elect representatives of 119 constituencies. The counting of votes will take place on December 11.